Once, in the last 12 years of Christmases together, Casey and I opted to hit a tree lot and choose a fresh cut evergreen as the centerpiece of our holiday decor! That year also happened to be the first year that we offered to “host” our family on Christmas Day in our new home. Long story short, the darn tree completely shriveled up a week before the big day and I was left scrambling for a replacement! My pocket book was a little stung by the whole ordeal, but everything turned out just fine in the end and we both learned a huge lesson. Never again, would we not make time to head to the hills and cut our own tree. 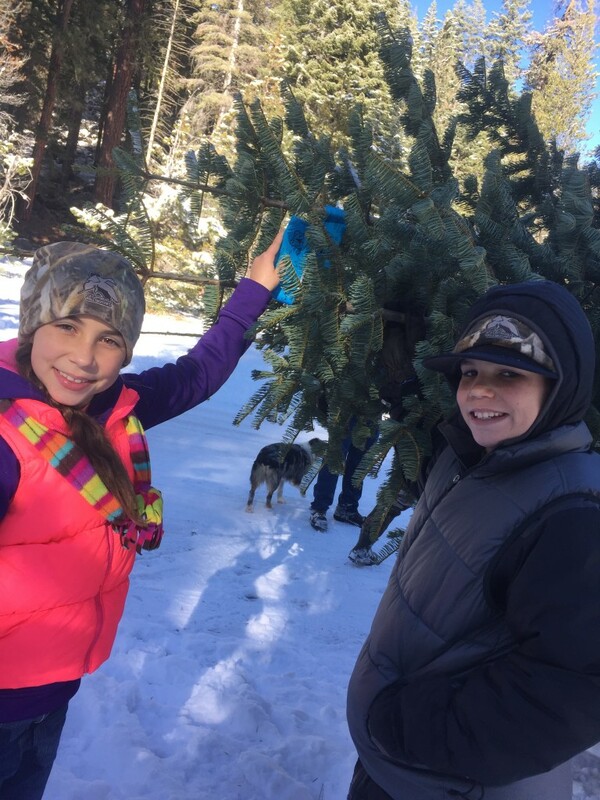 Needless to say, our annual trek to the hills to bring home a tree has become one of our most cherished family traditions, regardless where and / or who we go with. 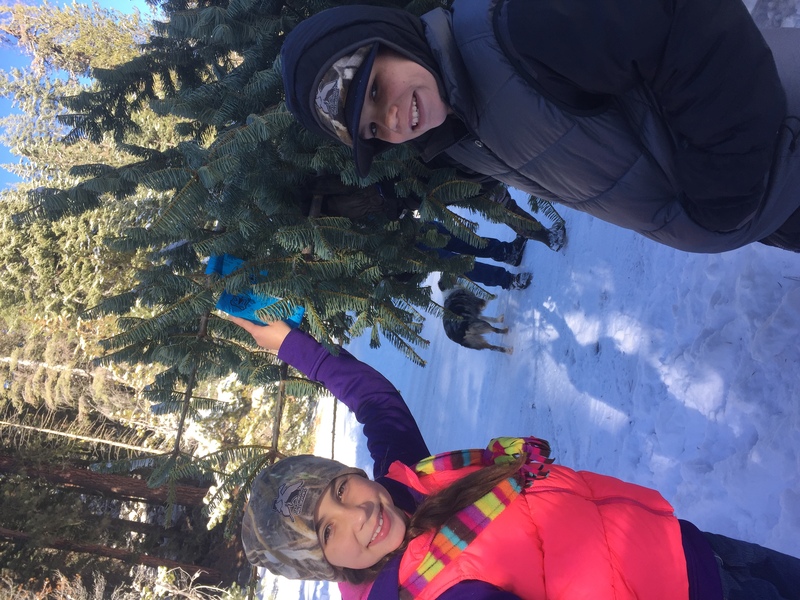 Tree cutting is a great outdoor family activity that just about anybody can enjoy, so I wanted to share a few tips on how you can get out and harvest your own tree this holiday season! 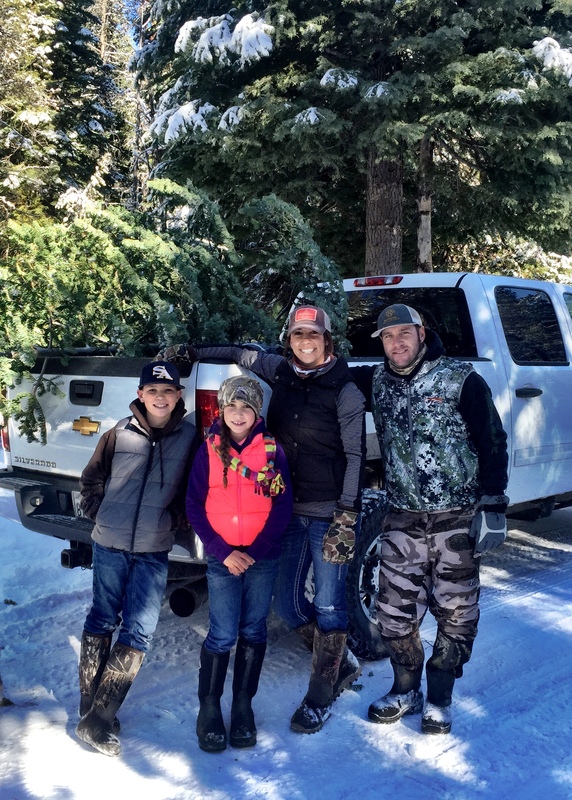 Any kind of tree cutting, whether for fuel wood or Christmas tree cutting requires a permit issued by the National Forest. You can get a permit from a local forest service office and now a days you can even order your permit through the mail. Which helps a lot if you plan to harvest a tree on a non weekend day when many of the offices are closed. You can find more information about your nearest national forest and office locations by clicking here! 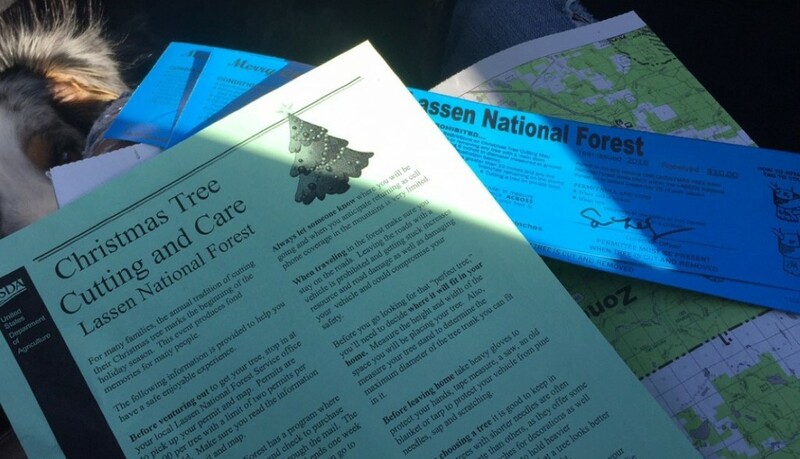 Just select the National Forest you are wanting more information about! Your permit will also include a map of the areas that you are allowed to cut. 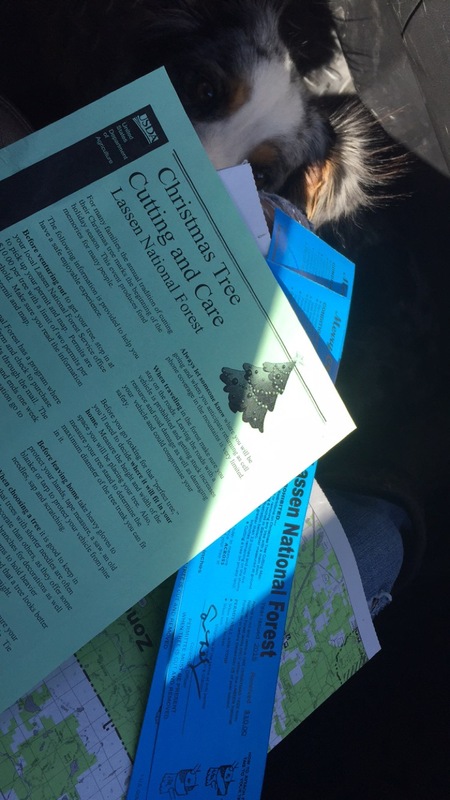 So make sure you study the map and have a pretty good idea of where you can legally take a tree. Another tip is to let someone know that you are planning to head into the woods before you actually do go. Most of these areas are remote with limited cell service, so plan accordingly, just in case! Before leaving, you will want to pack a few things to bring with you. Of course if you are bringing the kids along, you will want to make sure you have just about two of everything. Gloves, socks, a change of clothes! I also pack enough snacks to feed an army, and I always make sure the kids have a few travel games for long car rides. After you have the kids stuff packed, you’ll only need a few things for the actual tree cutting part! Ha. Pack yourself some work gloves, and a measuring tape. There are trunk size limits on the trees you are allowed to cut, plus you’ll want to make sure you can fit it through the front door (or living room window). Although a chainsaw is the quickest way to cut down a tree, one is totally not necessary and actually is kind of a pain to pack around. A handsaw will do the trick, no problem. You’ll want to bring some rope or straps to tie the tree in for the ride home too! Once you find your tree of wonder, follow the guidelines on your permit for proper harvest. As soon as you get her loaded up, usually with the trunk facing forward, tie her in and make sure you put your tag on an easily visible part. 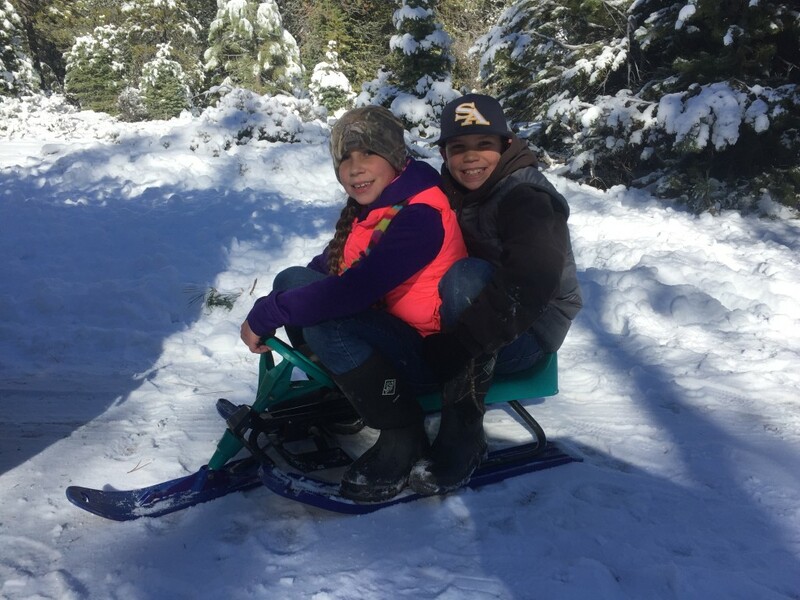 Now it’s time to play in the snow and enjoy all the awesomeness of nature while you are out in the great outdoors!!! And when you get home make sure you get your tree into water right away so you can enjoy this beautiful piece of nature in your home all holiday season long!